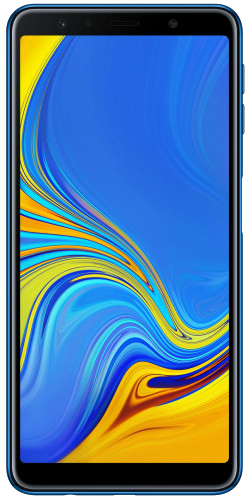 The Galaxy A7 – the one Samsung launched this year, not the original from four years ago – is one of the company’s first smartphones to come with a fingerprint sensor embedded into the power button. Between the hard-to-access rear fingerprint sensors and the in-display sensors that are expected to arrive in the near future, Samsung probably thought it’s a nice temporary solution to send the sensor to the side of the device. And after a few days of using the Galaxy A7 as my daily driver, I have a few thoughts on my experience with the side-mounted fingerprint sensor. Well, for the most part, the Galaxy A7’s fingerprint sensor works just as quickly as front or rear-mounted fingerprint sensors. However, it does require some accuracy on your part as well. The Galaxy A7 is quite thin, and its fingerprint sensor has the smallest surface area ever of any Samsung phone. That means you have to be more precise when touching the sensor. The solution here is to move your finger around as much as possible when adding its fingerprint, which is recommended even for front or rear-facing fingerprint sensors. And while the Galaxy A7 still manages to ignore a touch of my thumb sometimes, that’s not the primary issue. The real problem is knowing where the power button is and putting your finger on it without looking at the phone. The area around the power button is sunk into the body and is, therefore, lower than the volume buttons. That’s not enough to help you learn exactly where you should be placing your finger. There’s no texture on the power button, which is a significant oversight on Samsung’s part in my opinion and suggests the company didn’t properly test the design before launching the Galaxy A7 in the market. You probably know about that feature that lets you access the notification shade by swiping down on the fingerprint sensor. It has to be enabled manually on a new device, but it’s best kept disabled on the A7. Why? Because when you’re generally handling the phone, like taking it out of your pocket or trying to adjust it in the phone mount or dock in your car, it’s very easy for any of your fingers to touch and move over the power button. The sensor detects that as a swipe and proceeds to open the notification shade. This became a nuisance soon enough, so if you like using the fingerprint sensor for accessing the notification shade, you’ll find the Galaxy A7 fingerprint sensor quite irritating. Since the power button also acts as the fingerprint sensor, you can’t just wake up the phone to view content on the lock screen. At least not if you use the same finger to turn on the screen as you use for fingerprint authentication. I can only speak for those who are right-handed, for whom the thumb is the best option when the fingerprint sensor is embedded into the power button. And putting the thumb on the button means the phone will unlock. However, an easy way Samsung can overcome this limitation is adding a ‘double tap to wake’ feature. The company’s tablets, like the Galaxy Tab S4 and Galaxy Tab A 10.1, have this feature already, and it should come standard on any device with the fingerprint sensor embedded in the power key. With all the criticism Samsung’s rear fingerprint sensors have received, it’s nice to see the company looking at alternatives. Putting the fingerprint sensor on the side makes for a clean design on the back of the device, and the power button looks neat as well. You also don’t have to lift your device off a desk to access the sensor, which is a huge inconvenience with rear-mounted sensors. Of course, there’s plenty of room for improvement. Separating the fingerprint sensor and power key would let you view the lock screen without unlocking the phone. The option to double tap the display to wake it up would be quite useful, and this is something Samsung can add via a software update. What can’t be solved is the smaller surface area you get with a side-mounted fingerprint sensor, as that would require thick phones. And bringing those fingerprint sensors to the front of the device is no longer an option, as the industry has moved on to all-screen designs whether we like it or not. Overall, it’s great that Samsung is trying new stuff and bringing it to market as quickly as possible. Now it depends on how quickly the company can make the necessary improvements to fix all the shortcomings. What’s your opinion of side-mounted fingerprint sensors? Don’t Miss: Here are a few real-life Galaxy A7 ultra-wide camera samples! Please add some photos of this fingerprint sensor. That photo at the very beginning is all you need, doesn’t look any different from other angles because it doesn’t really jut out. But we’ll try adding some to our review. About two years ago, when I had S7 Edge, I offered Samsung through Samsung members to mount the fingerprint sensor in place of the power button. And, behold, they did it. At least you can thank the idea. It’s Sony’s patent to have this sensor on the side. I think that side mounted is more convenient than rear mounted. However, nothing still could beat S7’s layout! The physical buttons are just better, and will never cause burn-in issues. The accidental touching was a regular issue for me, and the worst part is that it’s extremely sensitive so even the slightest movement on it opens the notification shade. And it’s not like the phone is too big, but my fingers seem to touch it many a times. Pretty much why I decided to call it my experience and not a general review. Will be different for everyone. Certainly a good alternative for those who don’t want it on the back.